This entry was posted on May 30, 2018 by Zoe Thomas. The Mental Health Foundation (MHF) has revealed some troubling realities about the mental wellbeing of Britain's workforce. As part of their Mental Health Awareness Week campaign (14-20 May 2018), the MHF published a research report about stress in the UK. The findings illustrate how important it is for employers to help support the emotional and psychological wellbeing of their staff. Stress is a chemical response to any external stimuli that we find threatening. The release of hormones sends a message to our muscles to prepare them for defence: either to run, or to fight. What triggers this 'fight or flight' response varies from person to person and depends on a variety things, such as physiology, upbringing, mood and the surrounding environment. Stress is a natural and healthy response but, according to the MHF report, it can become a problem if it is continuously stimulated. Being in a constant state of fight or flight is exhausting and can lead to further mental and physical health problems. overwhelmed or unable to cope." How many people feel stressed? According to the report, 74% of people have at some point felt so stressed that they felt overwhelmed or unable to cope. Many of us spend a lot of time at work. This can contribute to stress in many ways. Some of the most common are: excessive demands, conflict, unreasonable standards or targets, juggling work and life commitments, unpleasant environments, feeling unmotivated/bored, or trying to do too much. Chronic conditions that debilitate or cause pain can be psychologically draining and isolating. This can radiate out into all areas of our personal and professional lives, causing further problems and contributing significantly to stress. 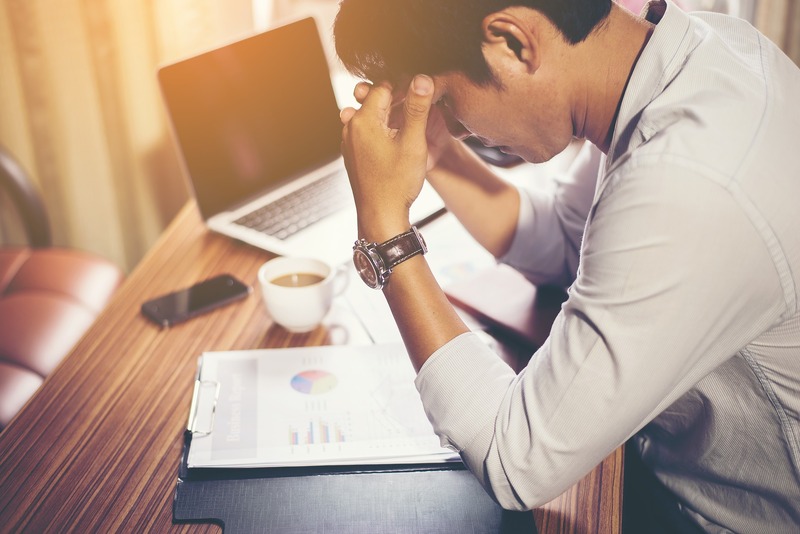 According to an MHF poll, 72% of adults who reported stress said they worry about their salary prospects, while 22% said they worry about not having enough money to meet their basic needs. 'Digital stress' is a new phenomena bought on by the rise in portable devices that give us immediate, constant access to the online world. The constant barrage of communication and news can contribute to feelings of stress and pressure to live life in a certain way. News is now directed straight to our pockets, giving us insights into people and places we never had access to before. This overload of news - often of the bad variety, can cause us to feel constantly anxious about issues we have very little control over. 32% said they had suicidal thoughts. "Some researchers believe that stress can interact with existing biological, psychological, or social risk factors to produce a cumulative effect that can contribute to the onset of mental health problems." Stress is also bad news for economic output and business productivity. Recent figures show that in 2016, 15 million working days were lost due to stress, anxiety or depression. Frontline healthcare staff in the NHS were found to have the highest absence rates. How can we become less stressed? "Good mental health is fundamental to thriving in life. It is the essence of who we are and how we experience the world." Employers have a great deal of influence over the wellbeing of their staff. While they cannot, of course, dictate how everyone feels, they can build the foundations for positivity and compassion. Organisations that cultivate compassionate, receptive cultures tend to thrive. Those that continue to ignore the vulnerable, human sides of their staff eventually fail. We work better when we feel respected, valued and listened to. We respond positively to pleasant environments that meet our needs and make us feel good. Most businesses work hard to mitigate health and safety hazards in line with government legislation, but shouldn't we be doing more to tackle mental health risks in the workplace? The MHF is calling for developments in appropriate case law and precedents to further protect employees from psychological hazards. "We are calling for stronger action by government and relevant agencies including HSE to help employers recognise and address psychological hazards." FeelRite - This is our stress awareness e-learning course, which takes 20-40 minutes to complete and equips staff with the tools to identify stressors and take necessary action. Resources - We post regularly about mental health and create many free resources to help employees. Wellbeing consulting - Our experts visit you to review your existing practices and advise on improvements to policy.